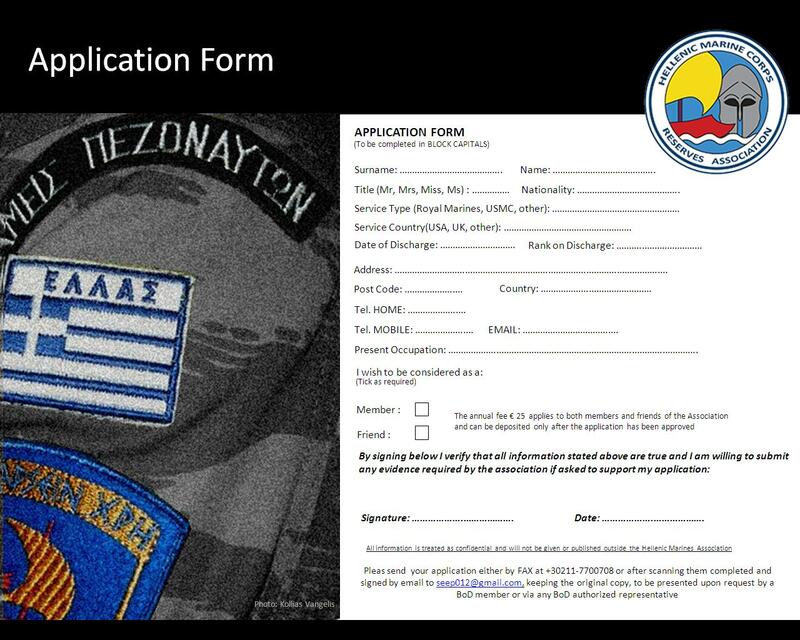 The Hellenic Marine Corps Reserve Association and the Associacion Nacional De Veteranos Del Real y Glorioso Cuerpo de Infanteria De Marina De La Armada Espanola 1537, concluded an affiliation agreement on May 16.2013. An agreement which, will guide the establishment of strong relations between the two organizations. Relations which are based upon the interchange of ideas, philosophy and values, and highlight the esprit de corps of Marines internationally. March 29th 2013 – 1st Annual Naval and Marines Meeting onboard the Battleship Averof. Members and affiliates of our Association had the opportunity to visit LST Lesvos at Salamina Naval Base. During our stay in the officer’s mess we were given a very interesting presentation about the history and the various functions of those vessels, followed by a tour by a naval officer on various parts of the ship. In the meantime, our kids were enjoying their own special tour by ladies, naval officers that was concluded by a very pleasant interactive game of knowledge, designed by an affiliate preschool educator.